Looking for unique male dog names? Finding the right name for your new puppy can be a hard task. We know that looking for the right name can often be quite a struggle for some people so we have come to help! 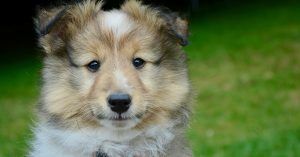 On 123Tinki.com you can find many tips, tricks and tools to help you find the perfect name for your new dog! Our database has over 38.000 names in it and they can all be sorted with our very dog name generator. You might have seen the generator somewhere on our site already, it is so easy to use! The generator can help you find any category you like and sort it into a list for your personally. This way you can find things like unique dog names, movie inspired dog names, dog names starting with M and so much more! Keep sniffing! Our generator is an amazing tool to help you figure out which names you might like. The generator can create a list of suitable dog names for you with help of a few filters. You can turn these filters on and off to let the generator know what you prefer. If you select ‘male’ and ‘unique’, the generator will show you all the best unique dog names male. Easy peasy lemon squeezy! After you got this list with possible names you can start ticking a few off by using our tips. We will talk you through it slowly and clearly on this page. Giving your dog a name is something that sounds obvious but that does not mean you should simply pick the first thing that comes to mind. It is very important that you think it through. Make sure that you take your time, you still want to like the name in a few years time as well! Training is something you might want to start quickly after your dog comes home with you. This is good but who has to sit, lie down, stay or roll over? Exactly, your dog! This means that the first thing you want to teach is the attention command, which the name can easily be used for. Unique boy dog names could be names from heroic or special dogs from history. For example naming your brand new Akita, Hachiko! We are all familiar with Hachiko’s extraordinary tale but his name is actually not that unique. You could also decide on Hachi to make the name shorter, which is sometimes better, but that could still be quite a common name. When it comes to unusual male dog names it is still all up to you. If you find the name unusual or unique enough for your puppy, it is perfect! Through the years, the choice of names for our dogs has changed a lot. Years ago when dogs were still more often used as working animals rather than pets, dogs were often simply called dog. The simplicity of this is in some cases of dog names nowadays incredibly far away. In our modern western culture it is almost more normal to dress up our dogs rather than to use them as working animals anymore. Whatever you decide to name your dog or use your dog for, it is your choice. This is very important to remember. Maybe you are getting a hunting breed dog and still want the name to show a bit of this as well. These are things you can definitely take in consideration when deciding on a rare male dog name. After a while humankind started to breed dogs for the sole purpose of their looks. This is why there are so many different breeds and also why there are some complications in a lot of breeds. You can take your dog’s breed into consideration when choosing rare unique male dog names but of course it is not something you have to do. Maybe you want a special name with a story. In that case, let yourself get inspired by the following famous dogs from history. Smoky was a small Yorkshire Terrier, found by an American soldier in an abandoned foxhole in the New Guinea jungle. Smoky and the soldier became good friends and Smoky even saved the soldier and his fellow soldiers from several incoming shells. She received several battle stars but was never considered an actual war dog during her time. She lived off soldier Wynn’s provisions and for a while even lived off coral. Together they even survived a typhoon! Are you about to own a Yorkshire Terrier? Smoky might be the perfect name! Although Smoky was a female Terrier, Smoky would be a lovely type of uncommon male dog name. We think it can definitely suit a male dog as well. If we are going to talk about extraordinary dogs from history, we will have to start Argos. Although this is a story from Greek mythology, it is a very good one. Argos was Odysseus’ dog. In the story Odysseus leaves for Trojan and is gone for 20 years. When Odysseus returns as a beggar to his home to see how things are, no one recognizes him not even his own family. But the beauty of the story is that Argos does. Argos recognizes Odysseus, he wags his tail and gives a whimper. Then he dies. Now it will be extremely rare if your dog would live up to an age of over 20 years old but the moral of the story is what counts. A dog will never forget his owner. Since you are still looking for unusual boy dog names, this story will be a good one. Of course we all know the movie Finding Nemo but there was a dog called Nemo before him. Nemo was a German Shepherd and he was a veteran of the Vietnam War. Nemo got badly injured in 1966, he got shot in his muzzle. His right eye had to be removed and he lived out his life on the Lackland Air Force Base. A beautiful original boy dog name for a German Shepherd! Or any other breed of course. Unusual boy dog names can of course be anything you like. You will eventually choose one that you like. When doing so, there are a few things you can take into account to really get a good name. There are some aspects that are quite important for your dog’s name. When it comes to getting a good name, it should not be too complex. This means that you have to be able to pronounce the name clearly, the name should not be too long and it has to sound right. These are 3 aspects, complexity, length and sound that are very important. It all comes down to one thing, which is that your dog’s name is simply a command. To your dog at least. Your dog will not understand that the word is his name but he will know what you want when you are calling the name. After you have taught him right. Because who needs to lie down, sit or stay? Exactly, your dog. So the name will always be one of the first things to teach a dog. Every command we want our dog to learn are short and clear terms. We do not tell our ‘Amazing, good boy Max to sit down please?”. No, we tell Max to sit. We keep our commands clear and short, so the name should be clear and short as well. There are certain sounds that do really well. For example the sound of the letter ‘s’ is processed very well by the dog’s brain. You can think of other letters that you are able to pronounce really clearly and can really put emphasis on. This makes names like Max, Charlie and Tommy really good dog names. They begin and end with the right sound. Besides, they are also the right length! A dog’s name should be about one or two syllables long. Sometimes a name of 3 syllables will do but you rarely see it work. It is much harder to call out a name of 3 syllables quickly but still clearly. If your puppy is about to run off onto a busy street and you call out alarmed, it is easier to call Alex than Alexander. Then it is better to choose the shorter version and call your dog this way from the beginning than to confuse him after a while with saying two names. If you have a list of suitable names it is also good to start practicing. You can do this by calling the names out loud. If possible, you could also call them out with your puppy in front of you. 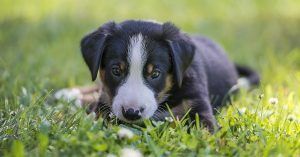 Does it match your puppy’s image, character and does he even respond to it? Then it could be perfect. Make sure you are able to say the name clearly and it is not too long. Good luck! The following names are a few examples of names from our top 100 unique male dog names list. Is there a name in there that you like? When you eventually choose your original dog name male, make sure you absolutely love it. Take your time, really think it through. Make sure you love the name now and will still like it in a few years time as well.